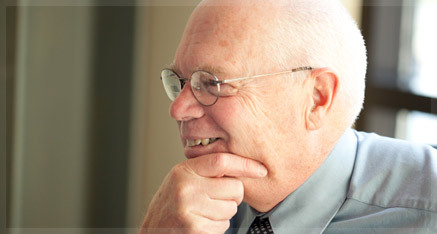 Bill Berg is the founding partner at Berg, McLaughlin & Nelson. He began his law practice in Sandpoint after six years in Seattle as deputy prosecuting attorney for King County, emphasizing trial and appellate advocacy. He moved to Sandpoint in 2001, and started a solo practice focusing on estate planning, real estate and business law. Bill’s law practice grew steadily and, in 2006, he partnered with Toby McLaughlin, a young litigator who practiced in a large, Spokane firm. Now the firm has a total of eight lawyers, with Bill managing the transactional practice (estate plans, contracts, buy-sell agreements, etc.) and Toby heading the firm’s litigation practice. Bill graduated from Seattle University School of Law where he served on the Law Review. He holds a Bachelor of Science degree from the University of Oregon in Journalism, and Master of Science degree in Broadcast Communication. He was born and raised in Los Angeles. Before entering the legal field, Bill worked for 20 years in broadcast news, including 10 years as a reporter and news manager for KING-TV in Seattle. He is the founder, past president of the Panhandle Alliance for Education, Inc., which has raised over three million dollars for the local public school district. Bill is now the chairman of the Board of the Idaho Community Foundation, a Boise-based charity with approximately $120-million under management. Bill is married to Mindy Cameron, the former editorial page editor of the Seattle Times. They have three children and six grandchildren. Bill enjoys spending time in his cabinet shop, riding his horse, running, skiing and gardening. Idaho State Bar no. 5342.